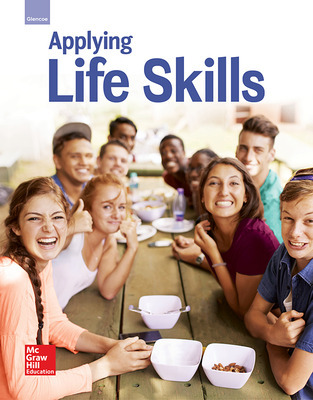 Designed for students in the early years of high school, Applying Life Skills provides a comprehensive Family and Consumer Sciences curriculum covering all of the areas of FACS education. Throughout the course, students will further their understanding of careers, life choices, relationship and life skills, nutrition and the kitchen, and more. This program helps students to understand important aspects of personal development as they mature and become responsible young adults. 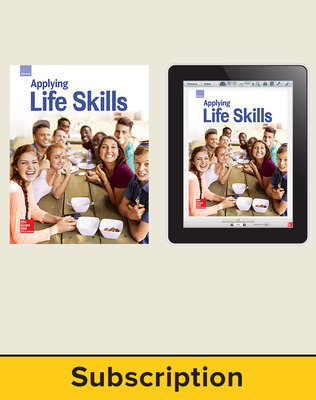 Allow your students to discover their potential and prepare for success by selecting Applying Life Skills! Succeed in School features follow students throughout the text and provide the tools they need to succeed in school and in the workforce. Students can practice coping and responding to real-life problems and situations in a positive manner with the help of informative features like Take Charge!, How To, and Real-Life Scenarios. Projects ensure that all students can learn and understand through hands-on applications. The 2016 copyright includes new images throughout and content covering technology use boundaries, employment implications of public social media profiles, social networking etiquette, cyberbullying, online billing and banking, and changes from MyPyramid to MyPlate. 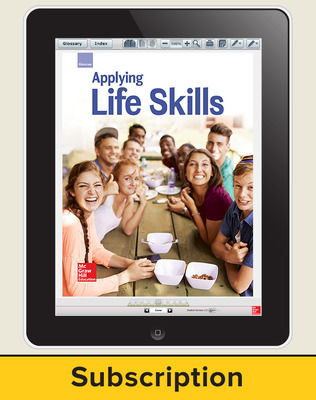 Applying Life Skills © 2016 features online resources on the MHE ConnectED platform empowering teachers to easily teach, manage classroom assignments, and engage students. Teachers can access the student eBook, digital resources, assessment and planning tools in one convenient location. Print teacher editions are available print-on-demand on Create™.